Port of Savannah Hits Milestone 4mm Containers in 2017! As an order fulfillment company and part of the supply chain, we’re always interested in learning more about other parts of the supply chain that help make the world of delivering goods go around. FSI’s role in the supply chain is to warehouse products for other companies, and then to pick/pack/ship their orders when they are sold. FSI eventually hands these fulfilled orders over to the next step in the supply chain (small parcel carriers, such as, UPS, FedEx, USPS, DHL or LTL/Truckload companies) who will then deliver the goods to the final destination whether that to consumers in-home or to small businesses or large big box retailers. In the past, FSI has had the pleasure of touring both UPS’ Worldport and FedEx’s World Hub seeing how small parcels and LTL/Truckload packages flow through the system. 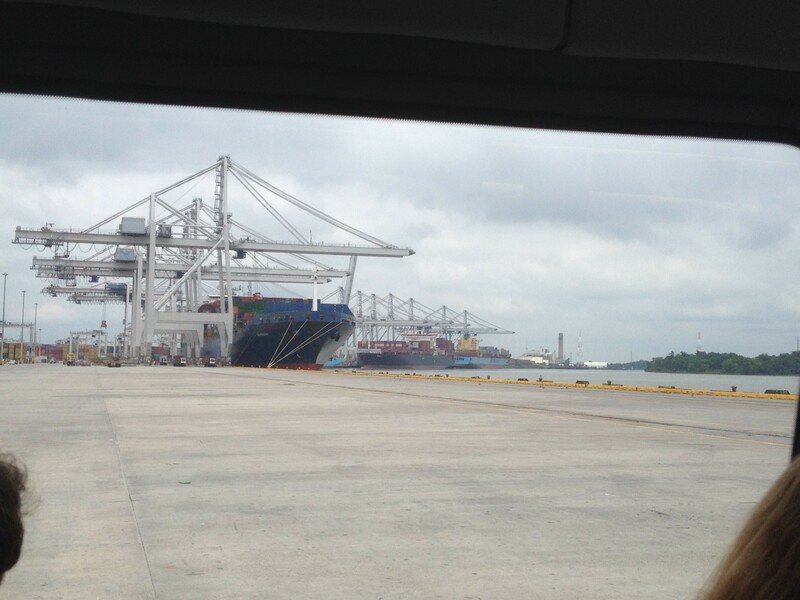 Now we’re walking back in the supply chain to see how products arrive from overseas through the Port of Savannah. Many of FSI’s clients have products produced overseas that have to make their way to FSI by trucking a container that first goes through a port. Our clients can use whatever port that they feel is best suited for their needs, but the usual choice and closest port to FSI is the Port of Savannah. 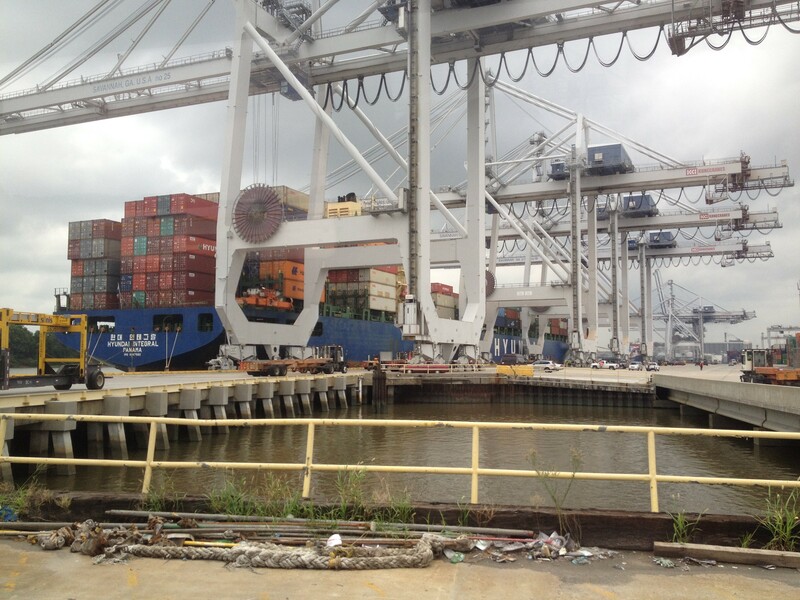 Through a partnership with the Georgia Manufacturing Alliance, FSI was able to take a tour of the Port of Savannah at their Garden City Terminal. Port of Savannah reached a huge milestone in 2017 by receiving over 4mm containers, well ahead of their projection for that goal! Truck turnaround averages here are less than 1 hour. 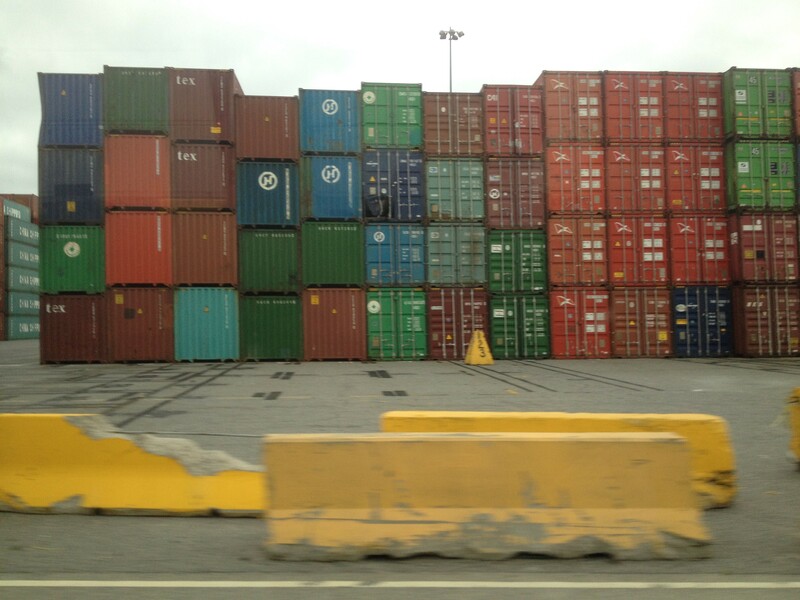 After seeing ships loaded/unloaded in person, I can see why they are as efficient as they are. 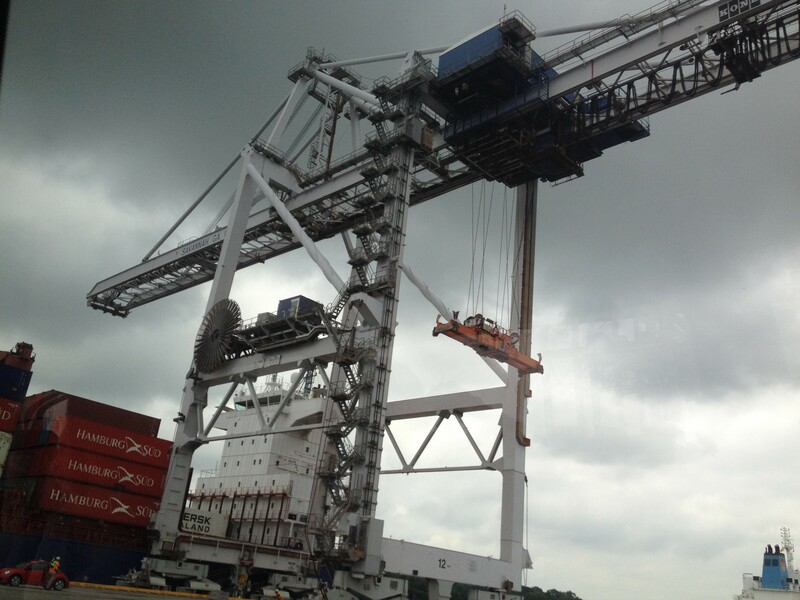 It was amazing to see the cranes loading/unloading one container after the other as fast as they were and with such ease. Trucks were lined up to receive their container and would drive up underneath the cranes as they were moving to the next one. As soon as a container was dropped onto the trailer, the truck moved off and the next truck would arrive immediately behind it.